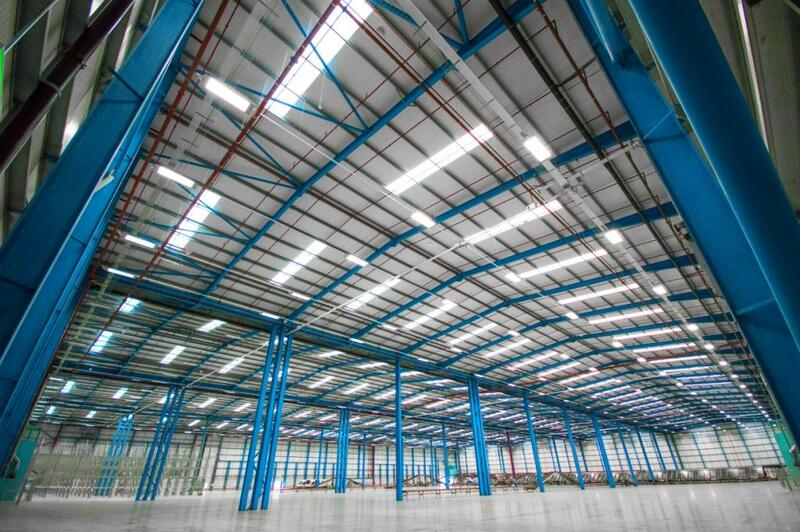 Full retrospective installation of sprinkler system throughout an existing warehouse purchased by Schuh for distribution of goods throughout the north of Great Britain. 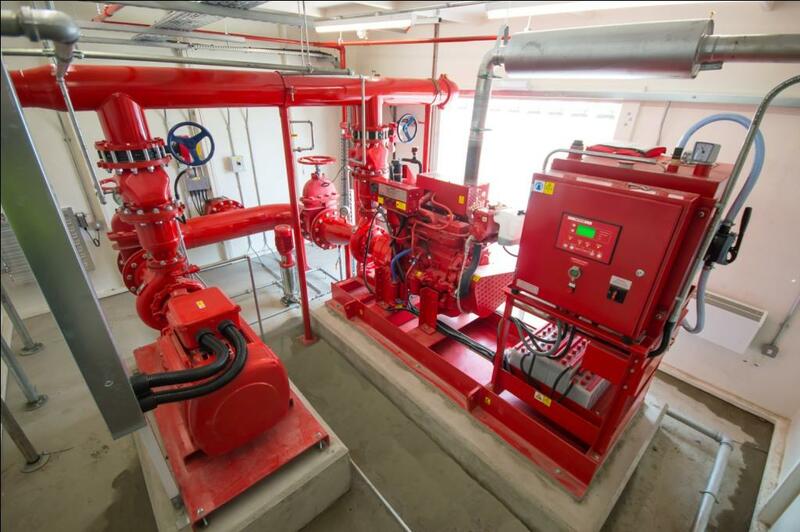 Fully certified fully hydraulically calculated system comprising of 3,500 roof level and in-rack sprinklers. 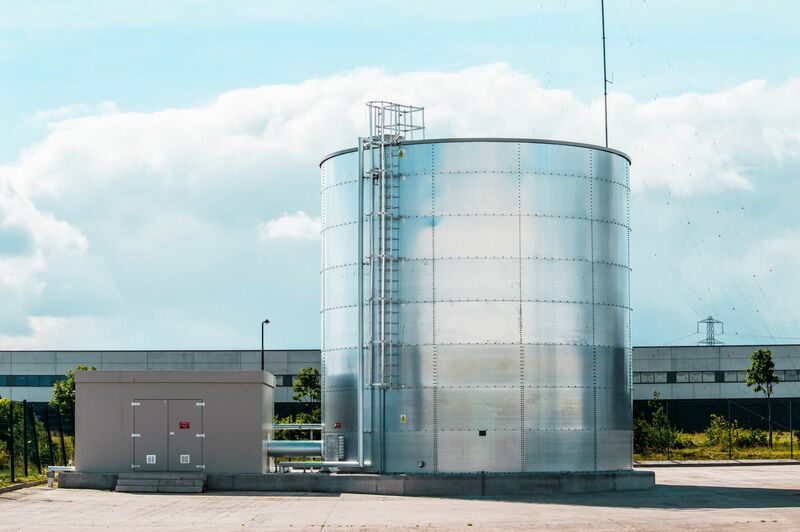 Turnkey pump house and 600,000 litre water storage tank installation with all builders’ work undertaken by J&J. 4 No. valve control stations. Schuh Distribution warehouse in Bathgate, Scotland. 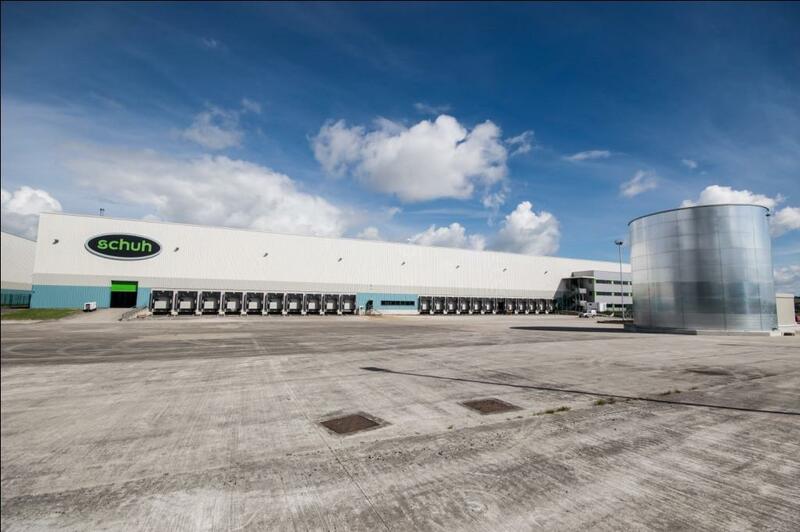 The large warehouse development provides storage and distribution for all of Schuh’s operations in the north of the UK. J&J designed and installed a complete retrofit sprinkler installation to serve the entire warehouse development for Schuh. The fully hydraulically calculated sprinkler system included 3,500 sprinkler heads in the roof and racking. New sprinkler pumps and tanks were installed by J&J and included all necessary builders’ work for bases and underground mains. Retrospective sprinkler installation to BS12845. New Electric and Diesel pumps.